Next Club Meeting: The next meeting is scheduled for Thursday April 18, 2019 at 7:00 PM at Beef O'Brady's in the same shopping center as HobbyTown. Come early to chat with other members and to have dinner if you wish. The Seminole Radio Control Club (SRCC) is a non-profit, open membership, AMA chartered club (#216) located in Tallahassee, Florida. 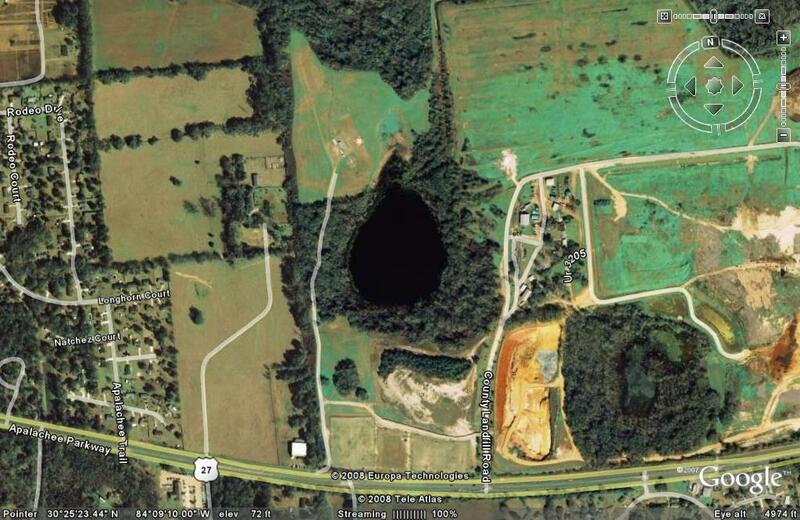 The airfield is located 4.1 miles east of Tallahassee on US 27 South, next to the Leon County landfill. The entrance to the field has been relocated. Heading north on Highway 27 there is an entrance on your right just past the main entrance to the landfill and just before you reach the church. Turn there and follow the road straight back through the trees and you will come to our field. Alternatively, if you are headed south on US 27, turn left just past the church. There is a cut-through in the median so that a left turn can be made. Here is a detailed map showing the general location of the field. Also, here is a picture of the field and the surrounding area from Google Earth. The field is leased from Leon County, which is paid for by club dues. Dues also pay for its maintenance, club social activities, and the club newsletter. Facilities at the field include a pavilion with several picnic tables, and a portable rest room for all day enjoyment. General Membership: Adult membership includes all flying, social, and voting privileges. Dues are $60.00 annually. Family Membership: Extends full flying privileges to immediate family residing at same household. Family members are welcome to attend events and club meetings, however only the primary member may vote. Dues are $75.00 annually. Junior Membership: Eligible to persons up to 16 years old (on or before July 1st of current year). Member receives the club’s monthly newsletter, has full flying privileges, and is welcome to attend club events and meetings, but does not include voting privileges. Dues are $20.00 annually. Associate Membership: Open to any remote control aircraft enthusiast who does not hold Academy of Model Aeronautics membership. Associate members shall have limited rights and privileges. Associate members shall not vote, hold office or operate remotely controlled aircraft. See the "Bylaws" link at the left for more information about membership. You can download a membership form here which contains full information concerning Club membership. The regular club meetings are held on the third Thursday of each month at 7:00 PM at Beef O'Brady's on Thomasville Road. This is located in the same shopping center as HobbytownUSA. Come early and enjoy a meal before the meeting! Feel free to visit the field, attend a club meeting, or contact one of the club officers. The field is open to public spectators, whenever club members are present. Due to noise restrictions, gas/glow fuel engines are not allowed before noon, however the field is open from dawn to dusk, to gliders and electric powered aircraft that meet minimum noise requirements. Currently there are three sets of bleachers that provide a great view of the activity's...so bring the whole family. If you're new to R/C, we have an active instructor program and even a club trainer to use! If you interested in attending a club meeting see the current events section for more information, or the contacts section to get in touch with a club member. If you are ready to join, you can download a Membership Application here.